Along with the artists, events and people I feature in the documentary videos I produce under the Documonkey.TV banner I offer freelance video production services for live business and music events including event video documentation, full coverage multi-camera recording, webcasting and promotional documentary video work to to create video content for clients, entrepreneurs, presenters and performers. all for a relatively small investment. Event Keynote speechs and talk videos. Using full coverage MULTICAMERA LIVE HD VIDEO RECORDING WEBSTEAM AND AV SUPPORT SERVICES I can film and create online video content of your presentation or performance to share or publish online, Including videos of Keynote Speakers, Seminars, entreprenuer business presentions as well as live music performance gigs and concerts. CRAFT YOUR MESSAGE TO ENCOURAGE ENGAGEMENT, CONNECTIONS AND SALES. Let us fine tune, tweek and "package" your message in studio during POST PRODUCTION Here we craft, refine and polish your video message by editing, color grading, adding on-screen titles, credits, credentials , sponsor logos and end with a CALL-TO-ACTION leting your prospects know how to reach you and engage with you. Are you ready to show the world what you can do? 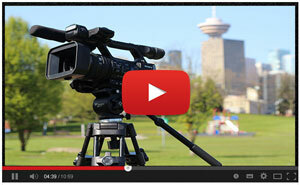 Do you need video content for online channels? Do you have an event coming up you need filmed ? OR IF YOU HAVE QUESTIONS CONTACT ME RIGHT AWAY. 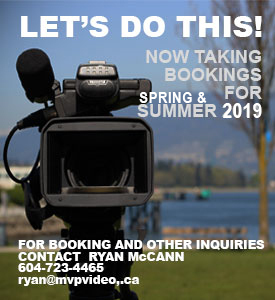 Call with or email any questions you may have, to submit a request-for-quote, or to book video for the your next available date - Let us know when you need, the details of what you want including the goals of your video and the budget you want to invest in producing it. We will send you a proposal that best matches your budget and video goals. Lets get down to brass tacs - How much do I need to budget for a CUSTOM video production? Documonkey TV is Ryan McCanns freelance Video Production studio with works focusing on Art, music, and adventure documentary and video projects. Filming inspirational stories of Artists and creative events through a fusion of art, music, images and storytelling. The Business side of Documonkey TV puts those technical skills and production equipment to work for Professionals Presenters, Entrepreneurs and performers. with a specialty in live event documentation, news gathering interview , ENG, recording and promotional video editing.